The peanut or groundnut (Arachis hypogaea) is a species in the legume family Fabaceae native to South America. It is an annual herbaceous plant growing to 30 to 50 cm (one to one and a half feet) tall.The leaves are alternate, pinnate with four leaflets (two opposite pairs; no terminal leaflet), each leaflet 1 to 7 cm (1/3 to 2.75 inches) long and 1 to 3 cm (1/3 to 1 inch) broad. The flowers are a typical peaflower in shape, 2 to 4 cm (3/4 to one and a half inches) across, yellow with reddish veining. After pollination, the fruit develops into a legume 3 to 7 cm (1 to 2 inches) long containing 2 to 3 (rarely 1 or 4) seeds, which forces its way underground to mature. Although a nut in the culinary sense, in the botanical sense the fruit of the peanut is a woody, indehiscent legume or pod and not technically a nut. Peanuts are also known as earthnuts, goobers, goober peas, pindas, jack nuts, pinders, manila nuts and monkey nuts (the last of these is often used to mean the entire pod, not just the seeds). Green peanuts are peanuts fresh from the field. They are harvested daily, to ensure the freshest quality. The level of moisture inside the peanut is the basic difference between green & raw peanuts. Green peanuts have a higher water content so they must be refrigerated upon harvesting to maintain their freshness. Raw peanuts are air dried to lower the water content – this makes raw peanuts less perishable. We do not recommend freezing green peanuts before cooking. When do you harvest your peanuts? Our peanuts are hand-picked and hand-graded. We harvest our fresh green peanuts from June through October every year, depending on the season weather each year. How do I order Seiler Farms peanuts and products? We take orders by phone, fax, or email. Call us at: 1-352-629-1720 or 352-732-2742. Our fax number is: 352-629-2836. Our email address is: seilerfarmsllc@yahoo.com We accept cash, check, and money orders. How and where do you ship Seiler Farms Peanuts? We ship to anywhere in the continental USA by truck. Because peanuts are perishable, they need to arrive to you within 2 days. The distance you are Ocala, Florida will determine the time it will take to reach your location. Do you have a recommended recipe for boiled green peanuts? Add 5lbs green peanuts and 2/3 cup salt to 1 gallon water. Boil on medium heat for 1 ½ hours. After cooking, allow peanuts to sit in brine for added salt flavor. Drain and eat, or refrigerate until ready to enjoy. How do I eat a boiled peanut? Crack open the hull with your fingers, pick the peanut from the hull and enjoy! Sucking the salt water out is optional. Place the peanut & hull into your mouth. Crack the hull with your teeth to remove the peanuts with your teeth. Sucking the salt water out is optional here as well. How do I reheat my fresh green boiled peanuts? By Microwave – place the bag in the microwave for approximately 1 minute until they are hot. You can also heat them in the microwave in a covered container. By Stovetop – Bring a saucepan of water to a boil. Pour in your Boiled Peanuts. Heat for about 5 minutes. If you want your peanuts to taste a little saltier, add 2T salt to the boiling water before you add your peanuts. Drain & Enjoy! How do I store my fresh green boiled peanuts? Boiled peanuts stay fresh in the refrigerator approximately 10 days once they are boiled. You can also freeze boiled peanuts for later enjoyment if you wish. 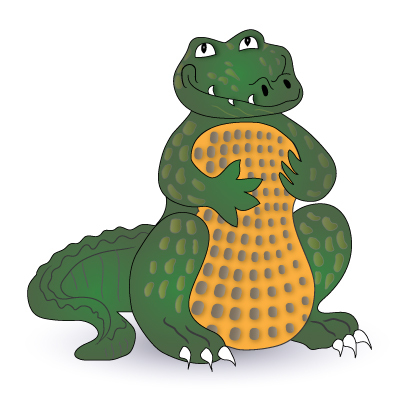 Can I buy peanuts already boiled for the Gator football games? Absolutely! We have a “Nut House” located right on-site, along Highway 441. Bags are $___ each and we usually open ____ hours before game time.